"During my scientific career I have been awarded several distinguished prizes – I want to pass on this support and financial assistance to young scientists" says Elisabeth Gateff, who had been the head of the Institute of Genetics at the University of Mainz and retired in 1998. 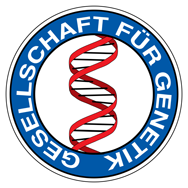 She has saved the price money of the Meyenburg–Prize, the German Cancer Prize and the Prince-Hitachi-Prize given to her and sponsors the PhD-Prize of the German Genetics Society since the year 2000. Each year graduate students are awarded for excellent work in the field of genetics with the prize named after her. In the years before the prizes were generously sponsored by Boehringer Ingelheim.